Experience Miami’s sun and sand without battling the crowds of South Beach! 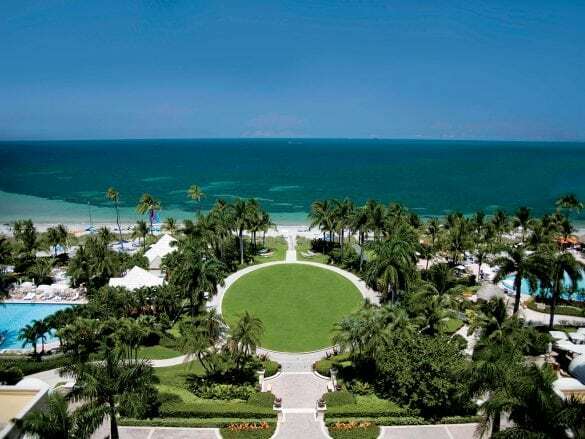 Tucked in a high-end area about 20 minutes from South Beach, the Ritz Key Biscayne offers a tranquil oasis away from the hustle and bustle of Miami. The outdoor spaces! 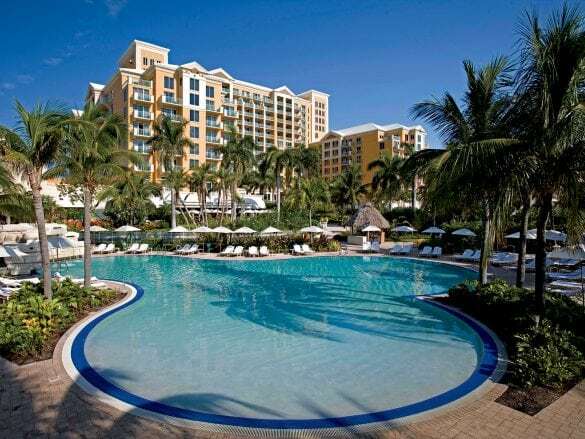 With two pools (one for adults and one for families), tennis courts, a beach, and lush grounds throughout the resort, you won’t run out of ways to soak in the Vitamin C.
Renting bicycles and exploring the island. 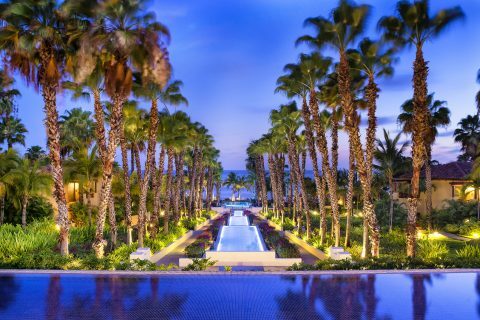 The Ritz-Carlton is the only resort, and the area is surrounded by high-end residential areas and sweeping views of the water. Cantina Beach – enjoy a margarita (there’s an in-house tequila expert after all) at this casual, oceanfront spot. Rumbar – inspired by Old Havana, the bar boasts an impressive rum collection, cigars, and Cuban-inspired appetizers. Dune Burgers – plush cabanas and sofas make this beachfront spot more than a casual burger joint (although the burgers are divine)! Serves Lunch only. 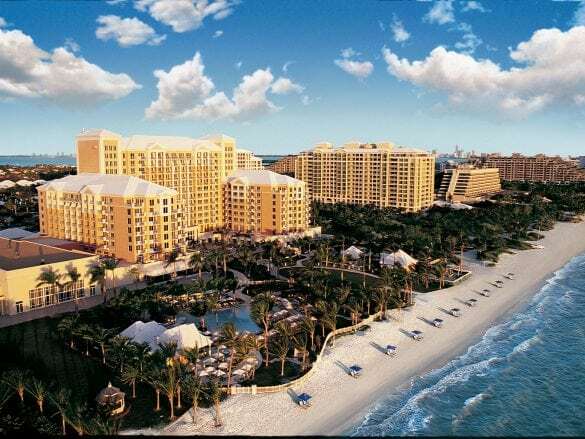 The Ritz-Carlton Key Biscayne is located on the southernmost barrier island in the United States only five miles from downtown Miami but feels like a world away. 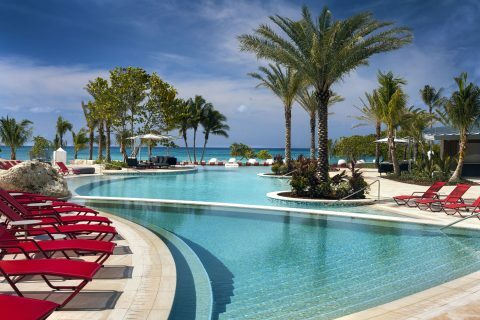 It is also about 20 minutes from the MIA airport and 15 minutes from South Beach. Fly in to either MIA or FLL and grab a taxi to the resort. Or, your Brownell advisor can arrange for a private transfer. 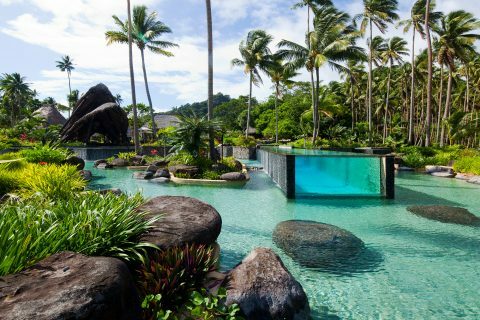 Pack your workout gear, and take advantage of the plethora of complimentary fitness activities on-property. From beachfront yoga to bicycle rentals, there are plenty of ways to stay active and enjoy the gorgeous Florida sunshine.